Even though Communication Preparedness is one of the Ten Principles of Preparedness, it tends to be treated “like a red-headed step-child” sometimes. I’m even guilty of that on this site as I believe I’ve only written about the topic a handful of times out of 800+ articles; it’s so easy for me to get sucked into the other Principles that I get excited about such as a new recipe that turned out perfectly, Apple Bacon au Gratin (SOOO good!). Today’s communication tips are primarily for times of a crisis or pre-crisis planning. The ability to communicate properly with those you care about is of the utmost importance and it’s certainly important for protection and safety as well. If you think about every crisis that you’ve lived through (either directly or indirectly) think about the role that communication played in helping to establish your peace of mind. In 2004 when the great tsunami hit in the Indian Ocean, phone lines all over the WORLD were quickly put to their maximum capacity in many areas as the result of the communication that was sought from news reporters, politicians, rescue group heads, and family members and friends wanting to verify event information or the safety and well-being of someone else. 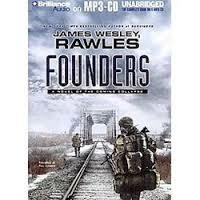 This occurs each time the world is impacted by a crisis whether it is a natural disaster or a man-made one. What you might not be aware of though is that there’s a great need for quality communication BEFORE a crisis occurs as well. For example, in the hours leading up to 9/11, circuits were reported to be busy at numerous key government facilities by persons attempting to get in front of a disaster, in an attempt to eliminate the threat or to gain the precious advantage of more time to get ready for the looming consequences. (If you’ve ever left five to ten minutes late to work and noticed a BIG difference in the traffic congestion, then you have experienced for yourself all the difference that a few extra minutes, days, or months can make in averting a crisis.) Lastly, there’s the business of providing critical communications which one desires to remain confidential and out of the view of prying eyes. All three are critical components of communications. Hopefully you’ll find some merit in the strategies that I’m going to share with you in this article and the next so that you can ensure the peace of mind you’re looking for in a crisis as well as in your preemptive efforts. The first strategy requires some explanation. Over the past couple of weeks, as a result of all of the political tensions between N. Korea and the rest of the world, I’ve received all kinds of e-mails, texts, and even a lot of phone calls with regards to the impact that the tensions with N. Korea will have on the rest of the world—primarily America. One of the things that I’ve done to prepare specifically for times like this is to create key relationships with individuals who may have helpful information on such matters. Over the years my husband and I have fostered relationships of trust with family members, friends, and even acquaintances which have later become friendships. Those we’ve learned to trust over time and vise versa, have been informed of several unique ways to communicate with us whether it be discreetly, in quiet, or out in the open but unnoticeable to the rest of the world. Case in point: A couple of weeks ago I received a tip from a reliable, honest source that the National Guard in Portland, OR had been put on high alert. 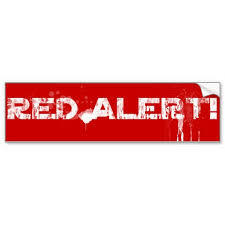 The term “red alert” was actually used and I was also told that the U.S. Air Force was also readied to be on stand-by. (“Red Alert” is a DHS rating, not a military one, which typically refers to their alert levels as “defcon”.) As a result of this information, I made one additional phone call to a source I have that is well connected to law enforcement all over the U.S. as well as some military. The law enforcement brotherhood communicates openly and reliably with this source and I trust him; and most importantly, he’s accepted me as a viable person to speak with on such matters. (Thanks, G. *hugs*) After he confirmed my tip, (though surprised by my call as he had just had intel come in 20 minutes earlier) I then posted an INQUIRY on my Preparedness Pro Facebook page, asking if any other persons were aware of any additional news of this sort in that area. I did this post on a social network like this for three reasons. 1) In hopes to cultivate more information 2) To post info about the tip WITHOUT it being a full-blown declaration—yet; and 3) To communicate with several dozen of these valued and trusted information resources that we’ve cultivated. You see, on Facebook, you don’t have to be “friends” with someone in order for them to read your business/group Facebook page. Just about anyone can stop by and see what’s going on. I’ve chosen to leverage this fact to my benefit and I communicate with my resources out in the open, seemingly innocuously, using everyday words, in what appears to be an ordinary manner. These resources and I have a prior arrangement of understanding as to what those key words are, in what order they are to be placed in a sentence, and all other details necessary to communicate without flying any red flags that would unnecessarily alarm the general public or any other prying eyes, because once you let the horse out of the barn, you can’t put him back in easily. This takes a little bit of preliminary work, but once it’s in place it’s a relatively reliable way to communicate. I’ll come back to that a little more in a minute. Within 5 hours of posting my original post on the matter, I had received a great deal of information via predetermined communication methods and systems with my resources that confirmed that my initial tip was accurate. As a result of this communication I was able to glean that N. Korea had officially (re)declared war on S. Korea. I was able to post that information nearly 36 hours AHEAD of any mainstream media reports. This is a very effective method of communicating covertly. 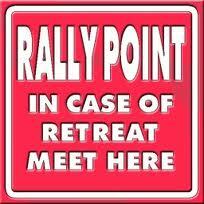 I call it “A Virtual Rally Point”. While this may seem very “cloak and dagger” to you, I share this information with you primarily so that you might get some ideas to work similarly and set up communication with your network of friends and family in the event of a crises without alerting everyone else about your actions. These communication plans are also specifically utilized in anticipation that there might be a time in which your internet connection is down, preventing you from posting information, but a large, well-funded, well-connected commercial internet site might NOT be down, or not one of the first to go down and thus could still be used as a virtual rally point via cellphone access. While I’d love to be able to have fancy schmancy encrypted messaging capabilities, it’s not likely for everyday folks to have access to such features, nor is it consistently reliable. That’s why I recommend something more along the lines of what I’ve suggested. Setting up alternative identities on Facebook or other similar social media sites also serves as an additional buffer of anonymity and security. Because of the VAST amount of information Facebook generates that is deemed useful to political organizations and government all around the world, they have some “connections” which may very well lead to a buffer from regulations and standards that might be imposed on regular Joe and Jane folks like you and me. I may not enjoy their politics, but I certainly can leverage it for my benefit and as such it’s BECAUSE of those characteristics that I choose them as one of several online rallying points. If they play with the devil, so to speak, they are more likely to benefit from such relations and thus endure a crises a bit longer than others that aren’t backed by deep pockets. Another suggestion for a virtual rallying point is actually Survival Blog (survivalblog.com). While I don’t submit that they “play with the devil” like some of the other larger social media sites do, I do recommend them as a possible option for other reasons. This particular site is run by the popular author, James Wesley Rawles, who has gone to great lengths to ensure he has the use of a server that’s NOT as readily susceptible to hacking or warrantless government take down as some others in Prepperland. As a result of some previous hacking efforts and suspected intrusive privacy violations made against his site, he’s gone to great lengths to protect the integrity and functionality of his site. Today he has established a reliable server that’s outside of the scope of some of the U.S. aggressions that tend to be aimed towards “preppers”, and he’s also established numerous redundant back ups to ensure his security on the site. Setting up some pre-agreed upon phrases that others can see on his comment section of any particular article might be a viable option for you. I’ll get into some more detailed suggestions on the next installment on this topic. Until then…here’s praying for peace in your preparedness efforts amidst a tumultuous time in the world. Celebrating With a Shirley J Giveaway! Hi Kelleen....I don't know if this is the place but I have a huge request....sometimes I can't get to all the reading(in one setting) of your fabulous website so I put them in my prepardness folder,,,, would you be able to label them somehow so we know what the subject is?? We have tried every way and can't make it work. No worries if you can't or won't...love what you do!!!! Kelleen: I'm so glad I found you! You rock w/ all this information! I work directly with law enforcement, the things I hear: would and should scare Job Blow Public:: but when I repeat things I hear: it surprise’s me to no end, on the crazy looks I get, or the fact that I'm told how neurotic I'm being ? Well I guess I am what I am, I can only hope and pray: that I'm never having to tell someone "I told ya so" but I have a gut feeling, I just may! My husband and I are HAM radio operators. We are involved in a group dedicated to keeping the information flowing as well as participating in our local hospitals efforts to communicate via the ARI emergency communications network. This gives us access to multiple levels of public information and heightens our value in "downtimes". Many of our members are "tight" with law enforcement, first responders and privy to 'rumors' firsthand. Every one should know a few of their local police, sheriff, and fireman on a personal basis. It will open many doors if needed. These are remarkably dedicated people. They are under immense pressure from all sides, and we should let them know they are appreciated.